From printing your dinner to printed heart implants, 3D printing is well on its way to revolutionizing the world. 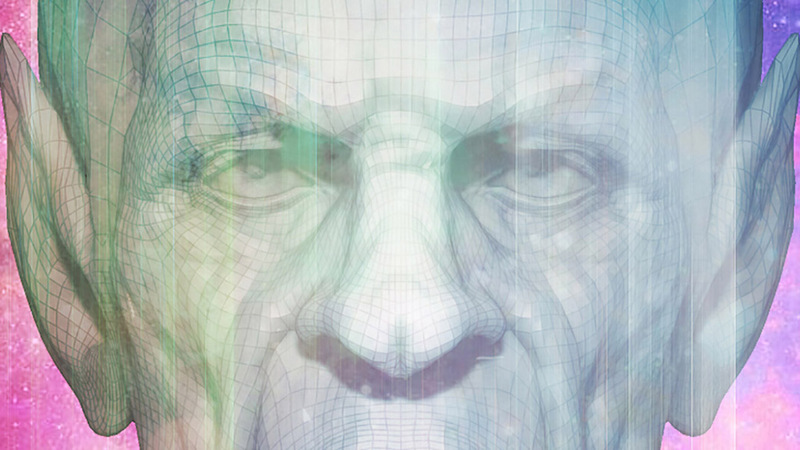 Creatives are discovering the tool as an exciting, new art medium with evolving potential. 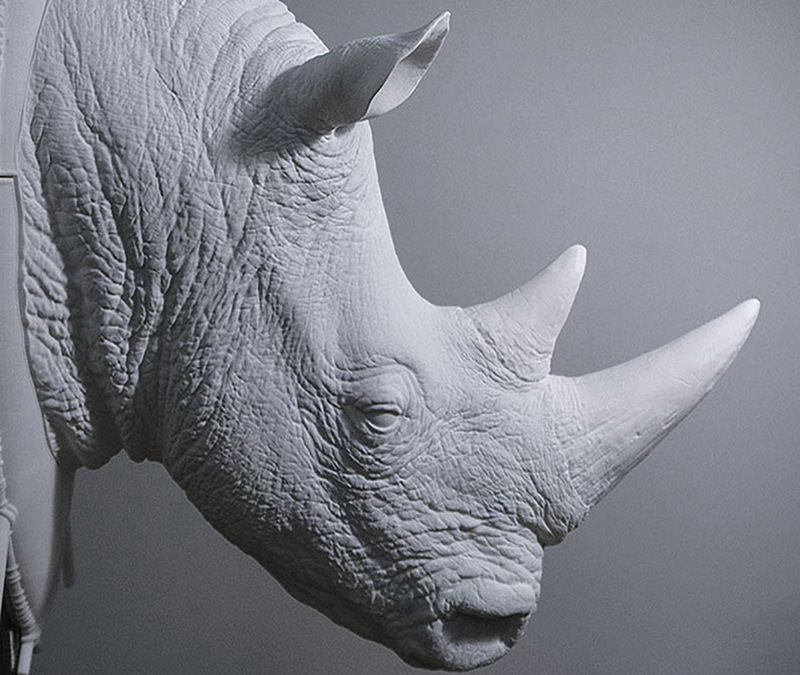 One such creative mind testing the artistic waters is Mill 3D Artist Paul Liaw, the designer behind the “White Rhino" piece exhibited at the NYC 3D Printshow. 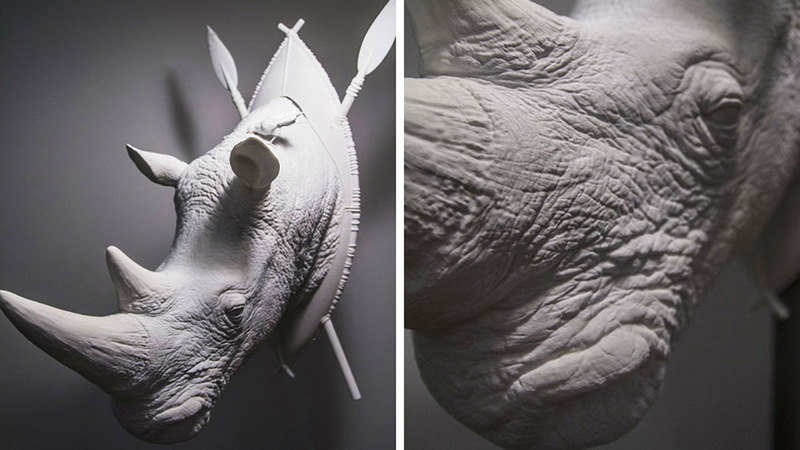 "White Rhino" is a custom designed, 3D printed "faux taxidermy" piece, created to challenge the artist's and the technology's capabilities. Paul had been working with Shapeways and Adobe to test the 3D printing features in Photoshop CC software when he received the invitation to exhibit at the NYC 3D printing event. 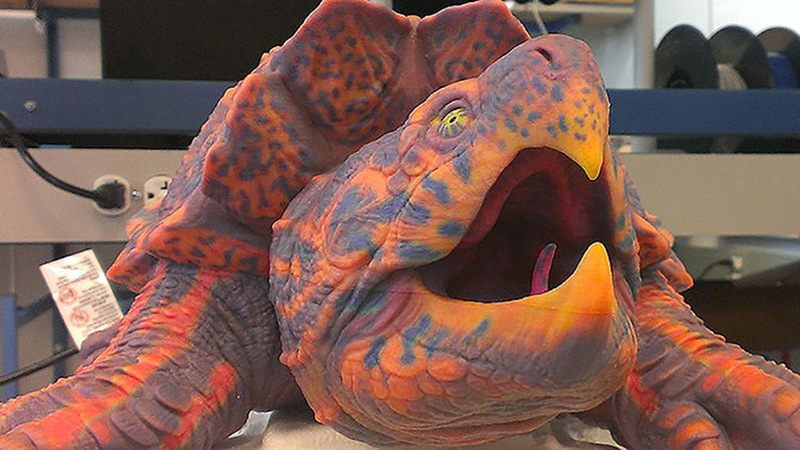 He chose a Rhino as a subject because the animal's size and wrinkly skin texture would be difficult to achieve. The almost life-sized rhino head features a bird perched on its neck framed against an African shield backboard. 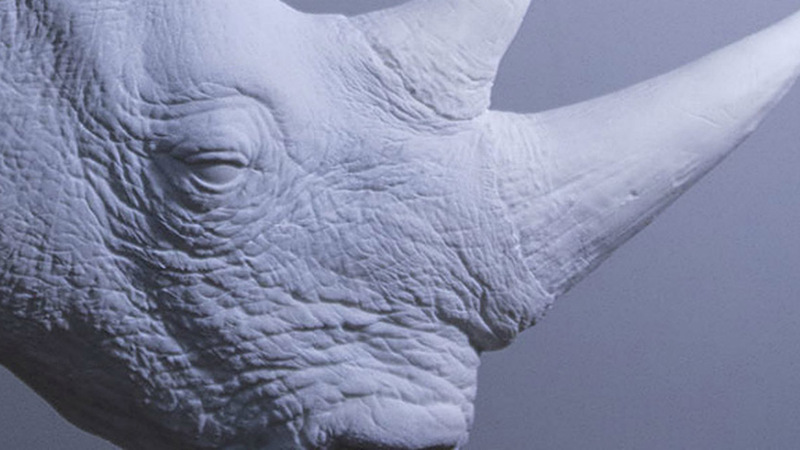 The high level of detail and pattern to the rhino’s skin texture pushes the boundaries expected from a print of that size, achieving an almost realistic alternative to safari trophies of yore. Paul first became interested in 3D printing when designing his engagement ring. Like any other creative, he wanted to make something unique and personal for the lady in his life - and lucky for him - she said yes. Through that project, he discovered the process of jewelry creation: gem setting, 3D wax printers, casting, prices of various materials. 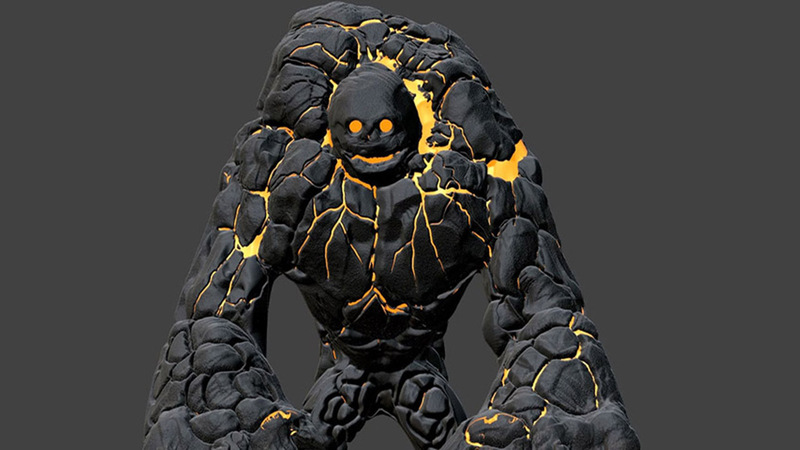 Bitten by the 3D jewelry bug, Paul is currently working on a collection of bracelets and bangles. You can view his collection here.